Apologies in advance if this starts an international incident. It has recently come to our attention that North Korea's leader Kim Jong Un LOVES himself some wide-leg pants. Just look at the width of that trouser leg — you could fire an intercontinental missile across those. Bask in that 42-inch cuff. Here he is flaunting his wide pant leg while inspecting some kinda machine. And actually, he might be...kinda on trend. This season, expect to see model stomping the runway in wide leg pants that billow like a threat to annihilate an entire city. 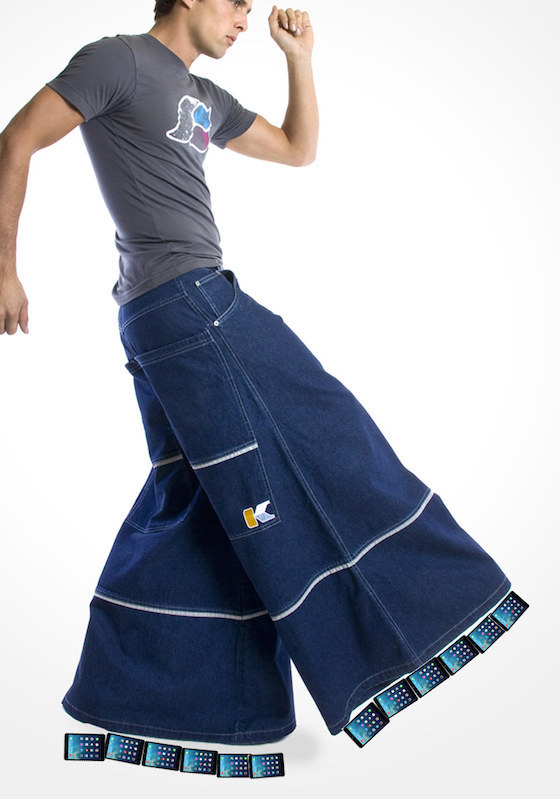 Though, TBQH, these p. much look like JNCOs. Don't take our word for it though: The internet may actually be kinda into Jong Un's fashions. 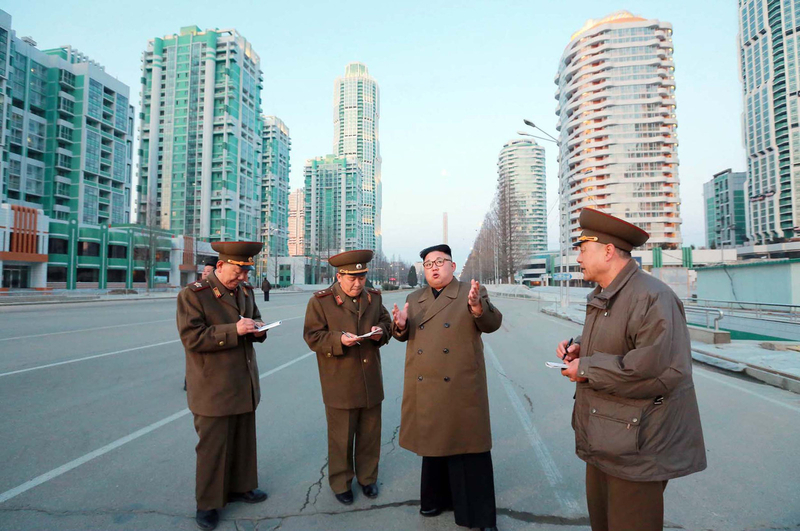 Kim Jong-Un has got the slackest slacks in the whole wide world. Though some questioned whether the pants were part of an *elaborate cover-up scheme*.